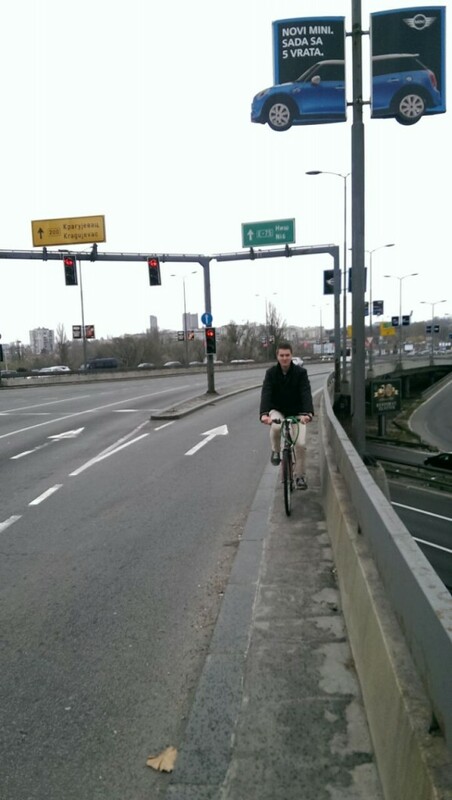 Belgrade and cycling: two things that do not go very comfortably together. 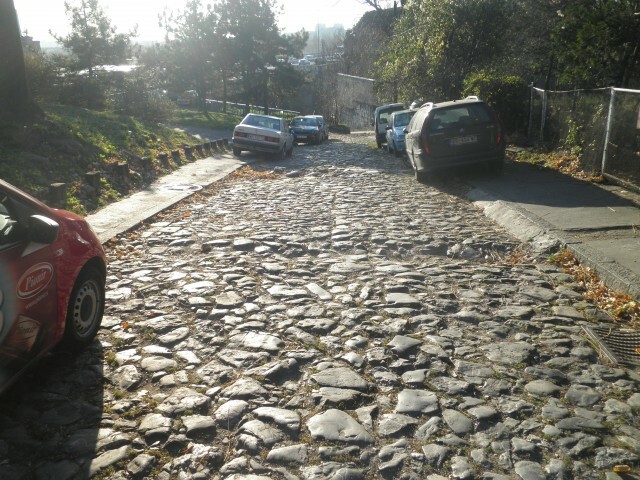 Especially in the old city one will hardly see anyone daring to climb its hilly and car-dominated roads on a bike. 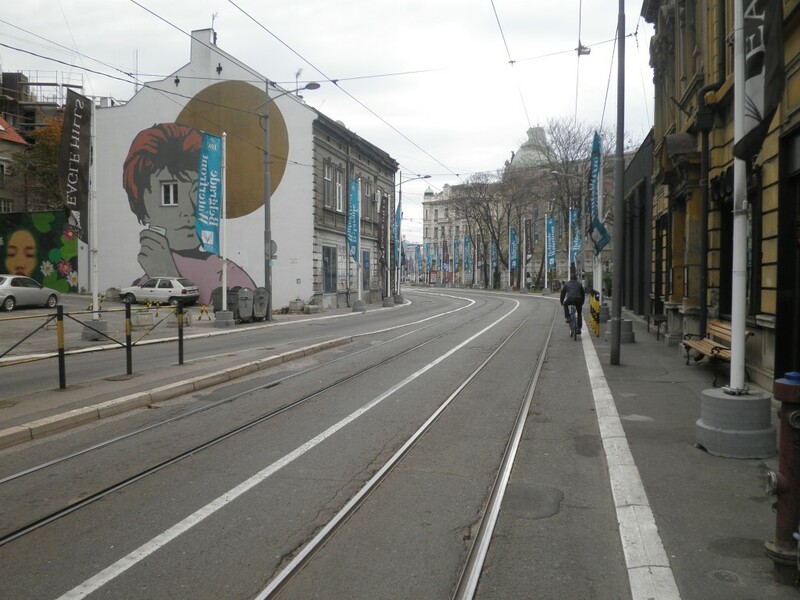 Are there any realistic perspectives for Belgrade to improve its bike-friendliness in the near future? Or is the unfortunate combination of unfavourable geographical and climatological factors making the emergence of a widely-accepted cycling culture rather unrealistic? During our stay in Belgrade last November, we decided not to join any of the guided bike tours that are offered but to rent bicycles ourselves to extensively explore the various parts of this South East European metropolis. In the historical centre of Belgrade, cycling infrastructure is wholly absent, except from a – recently reconstructed – cycling trail locals and tourists can follow along the Danube and Sava rivers. Cycling on the ordinary roads of this central area felt, it has to be admitted, rather unsafe, even though Belgrade’s streets are not particularly busy apart from the rush hours. Especially being caught up as lonely cyclists in between numerous cars at the more generally busy intersections is not the most pleasant feeling imaginable. 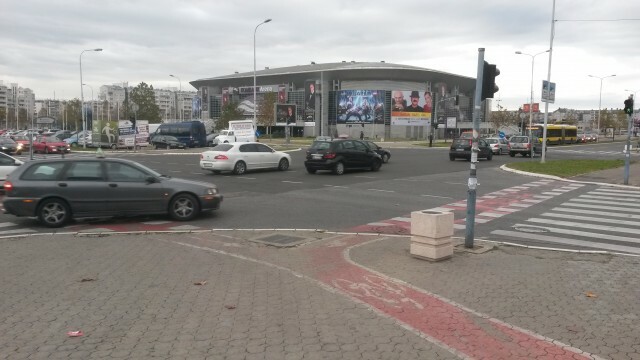 When we were heading towards the Autokomanda district, where Belgrade’s two main football stadiums are located, it took us a while finding a non-highway road to get there. 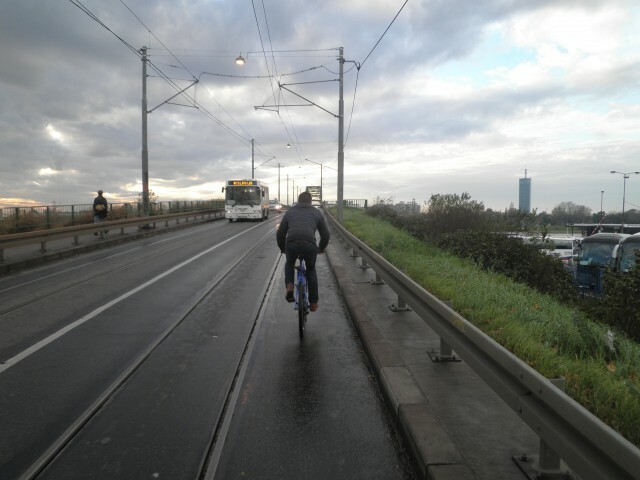 Eventually we ended up carrying our bicycle up and off the stairs at some viaduct. 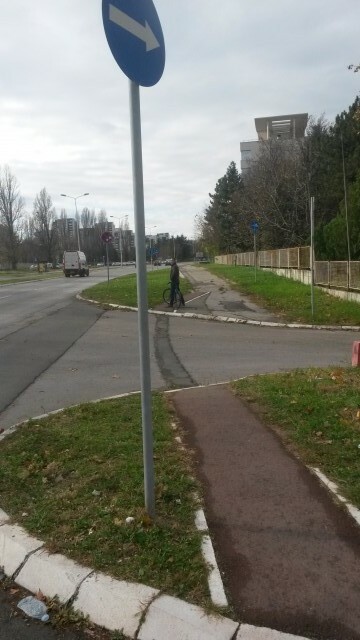 On the way back, deciding not to cross the highway again, we had not much options but to use the sidewalk as our cycle path. 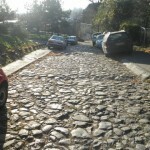 Reaching the artistic area of Savamala (the ‘creative and cultural hub’ of the city) thereafter proved not to be a very easy job either: the cobblestone road we encountered on our way down would probably even scare off former winners of the notorious Paris-Roubaix professional cycling classic. Savamala itself however is an area that is rapidly being revitalized as we speak. The Urban Incubator: Belgrade is only one example of the recently established initiatives here. 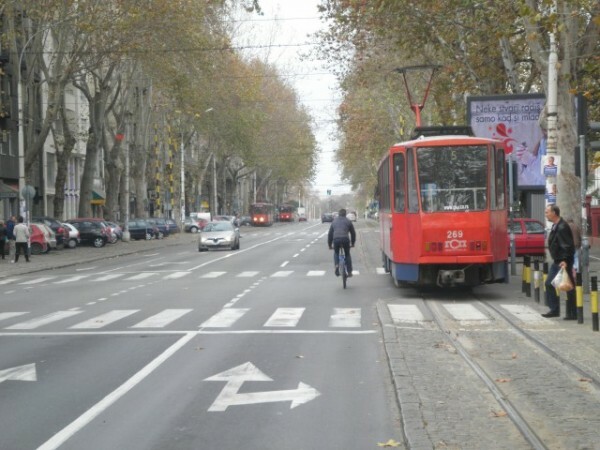 It “aims to improve the quality of life of local residents, arguing strongly in favour of a city on a human scale, and aims to encourage the residents of Savamala to take charge of their quarter.” If the pro-bicycle mentality has to emanate from anywhere in Belgrade, it is quite likely it will be from within this particular area. 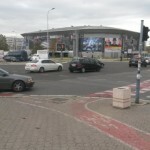 In the afternoon we decided to try our luck in Novi Beograd, situated at the other side of the Sava river. Novi Beograd is a post-World War II district of Belgrade, that consists of large numbers of big modernist housing estates and tower blocks. Also, admirers of communist architecture will most likely enjoy themselves here, as this photo report illustrates. Not the most comfortable road to cycle on? 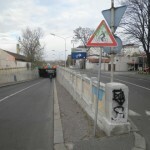 In order to cross the – randomly chosen – bridge crossing the Sava, it soon appeared that this road had to be shared with a tram as well as with cars. Novi Beograd is in many ways much more suitable for cycling: contrary to the hilly city centre, it has been built on a flat piece of land. The urban planners even attempted to realise some ordinary cycling infrastructure. 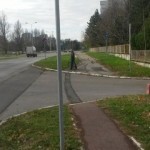 This seems to be something that has occurred a while ago though: today, the cycle paths in the area are generally not very well maintained and often end very abruptly, so they actually cause quite some confusion for cyclists that are not very familiar with Novi Beograd’s streets. The cycle paths moreover were hardly used by any locals when we were there, albeit merely to walk on. The fact that we were basically the only cyclists that day could however been due to the weather, it was a bit grey, rainy and cold. On the way back to the other side of the Sava, we again had not much choice but to use the (not very crowded) sidewalk on the bridge instead of the road, in order to survive our not very relaxing but yet rather enjoyable sightseeing tour. 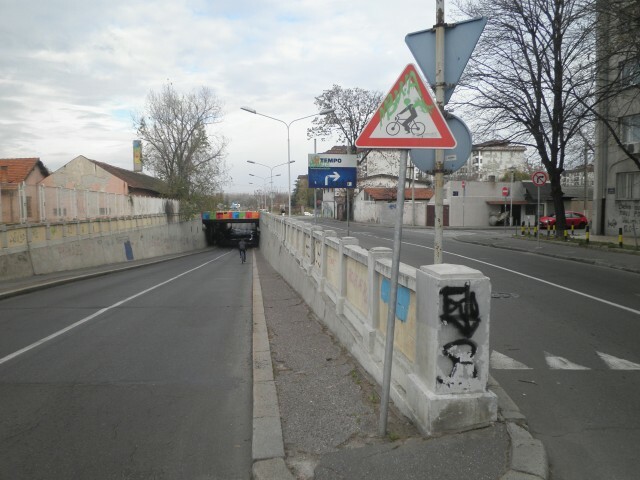 Encouraging bicycle usage does not seem to be very high on the agenda of contemporary urban policy makers in Belgrade. Since a few years there are groups, such as Ulice za bicikliste and Beograd Velograd (supported by the Dutch embassy), that are trying to improve the bike conditions in the city, for instance by organising ‘critical mass-events’. One thing has to be admitted though: Serbia’s continental climate is not very ideal for cycling: while winters are fairly cold and for that reason uncomfortable to cycle long distances, summers tend to be rather hot. 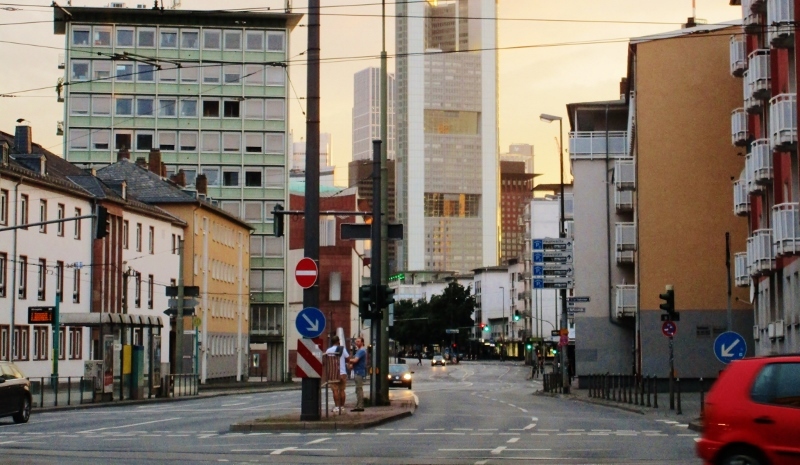 Imagine climbing one of the city’s steep hills with your bicycle on a warm summer day. In such circumstances it is quite inevitably to arrive at your destination totally sweaty. Perhaps building bike escalators, as they recently did in Trondheim, could be an interesting solution to start with? 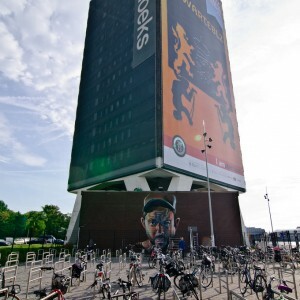 i we’d known that you are about to visit us, we’d take you to a cycling tour. 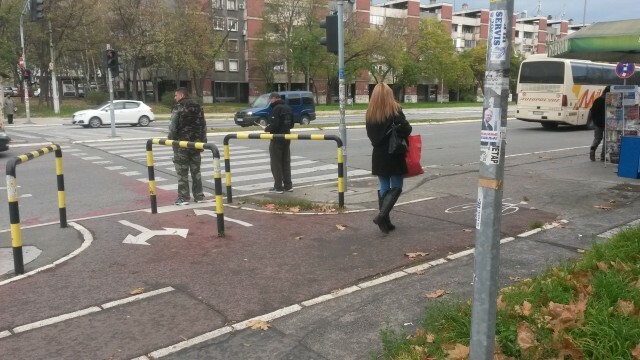 Number of cyclist in Belgrade is rising and conditions are still not as good as they should be. As you probably know, first condition is safe infrastructure, then everything else comes. The climate is similar like in Vienna, yet there are much more cyclists thanks to city policy and effort. The past few years of cycling activism, I can tell we were quite successful, well at least inside the circle of Critical mass people we know, breaking some dogmas about cycling in Belgrade. Like “it’s too hilly”, “it’s too hot” or “it’s too cold”. 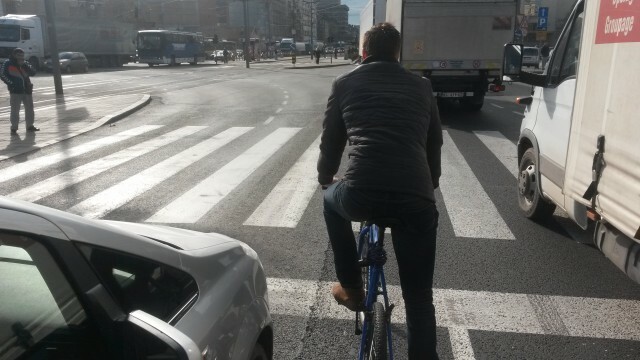 Our guest, Jorn Koelemaij, isn’t exactly shaking foundations of these dogmas and he is not helping us promote cycling in Belgrade, by writing a very negative text on Belgrade cycling. Next time that I’m visiting Belgrade I’ll definitely get in touch with you guys. Hopefully you’re indeed able to give me a more-relaxing and less suicidal cycling experience! Having lived and biked in Pittsburgh for many years, I could have almost written this article word for word about our city a year ago. 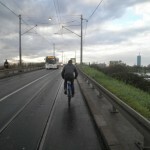 Hills, cold & rainy weather, lack of biking infrastructure, having to take sidewalks in occasional areas that have highway-like roads (especially some bridges), having to carry a bike up a staircase, avoiding trolley tracks, disconnected lanes, and belgian block streets are all very familiar. But for someone familiar with a city, it’s almost always possible to find a pelasant route to one’s destination, often on back roads. Weather is not a big deal if one is dressed properly (in two words: waterproof layers), and hills aren’t a big deal once you start riding up them often and get stronger. This year in Pittsburgh we’ve seen an explosion in bike infrastrcture due to a cycling-friendly mindset from our new mayor, and there has similarly been a large increase in riders. Indeed, Pittsburgh has seen the largest increase in biking in the USA since 2000. Next year we’re launching bike share and adding several new miles of protected bike lanes. So while the things you list may be intimidating, the biggest barrier to easy cycling is always people, not the physical environment. Try adoping a more positive mindset: you may be surprised what’s possible! There’s no need to be black-or-white about it. 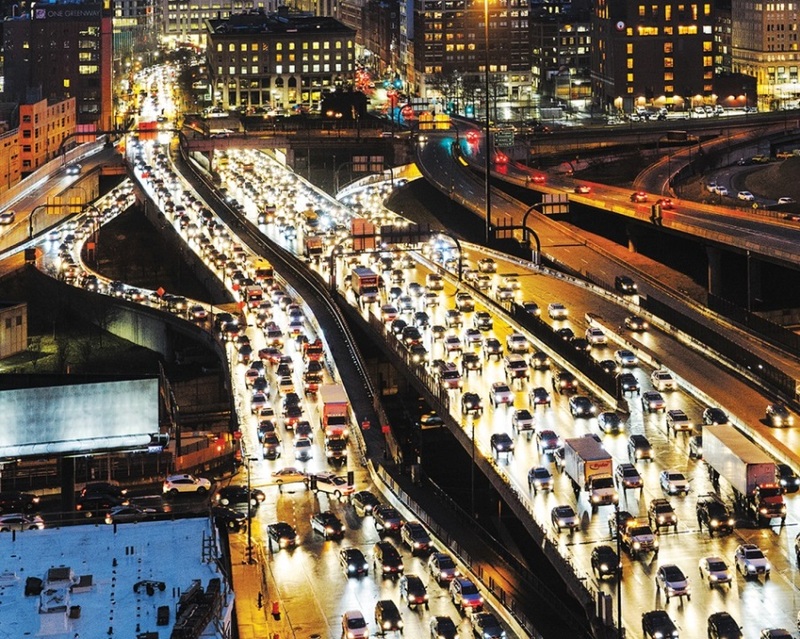 You simply will not get a critical mass of cyclists without safe infrastructure; at the same time, high-quality infrastructure does not get installed without that critical mass of commuting cyclists. You can’t have one without the other. I have cycled every year in Belgrade since 1998 never had a problem. 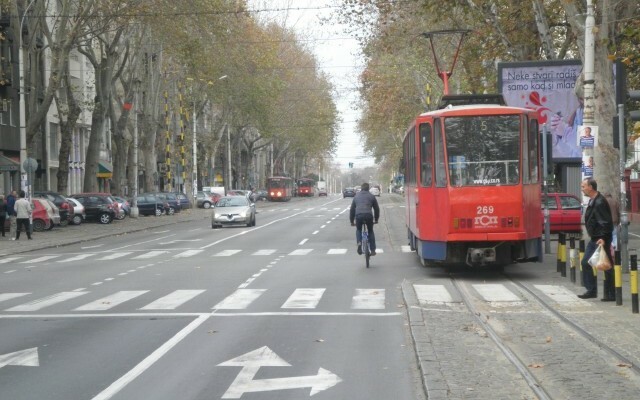 Yes, there is a mix of situations which get Beograd not to be the most suitable city for biking, but most of modern towns in the whole world are not better under this point of view! Cars are dominant everywhere, ot in Srbia! Much of the progress for the future will depend upon economic rising as too many old cars with old engine are still circulating and this is very negative for the cyclist and for pedestrian. I’m optimistic and I’m planning an individual bike tour on Sava river starting in Slovenian Triglav mounts and finishing just in Beograd.